(Kitco News) - Gold and silver were in focus at the world’s largest gathering of political and corporate leaders as a new report highlighted what could be a unique opportunity for the market and address a potential environmental crisis. In a report released Thursday during the World Economic Forum at Davos Switzerland, the United Nations E-Waste Coalition said that the world is on the brink of a major health and environmental crisis as electronic waste is expected to grow from 50 million tonnes to 120 million tonnes by 2050. The coalition -- a group of seven UN entities -- also noted that the growth in e-waste also represents a business opportunity as the material in junk electronics is currently worth about $62.5 billion a year. “There is 100 times more gold in a tonne of mobile phones than in a tonne of gold ore,” the report added. 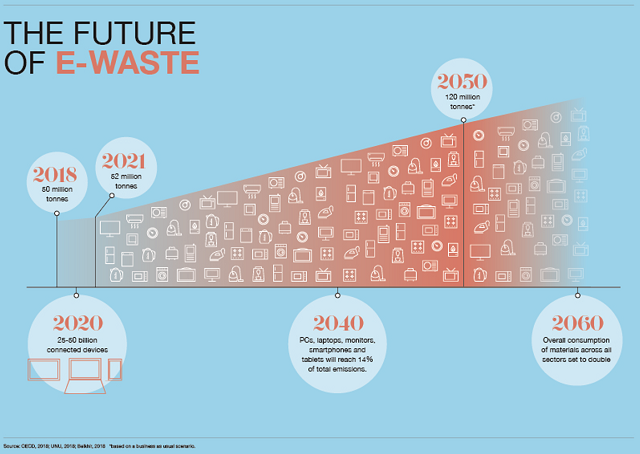 The coalition noted that only about 20% of e-waste is recycled. 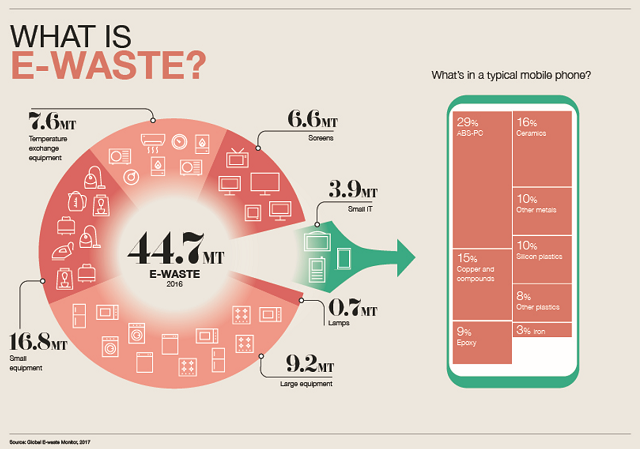 The report said that up to 7% of the world’s gold could be contained in discarded electronics. The WEF noted that some African countries are already taking advantage of the economic potential of recycling electronic products. In a press release, the WEF said that the Nigerian government, Global Environment Facility (GEF) and UN Environment have joined Dell, HP, Microsoft and Philips to launch a $15 million investment to create a formal e-waste recycling industry in Nigeria.